Part of Britain since 1713, Gibraltar is a magnet to both Spanish & English tourists, but I won’t be going again. 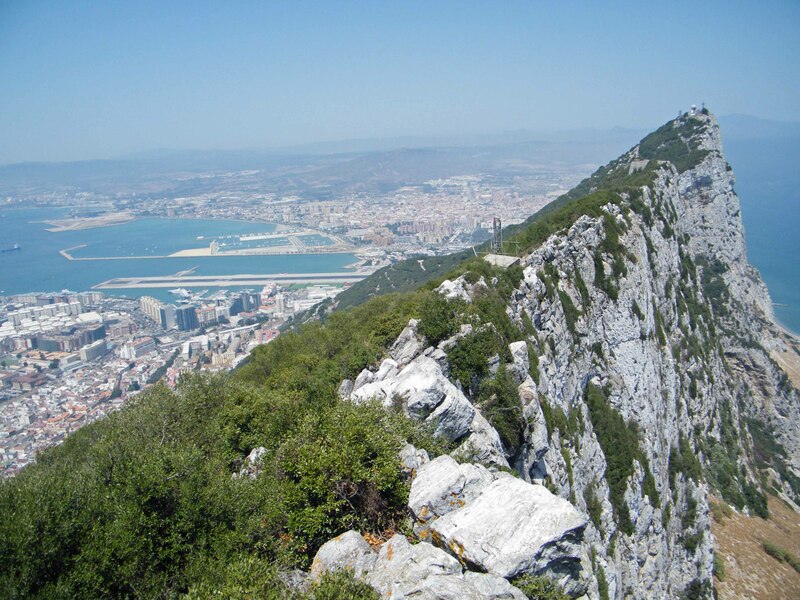 When we booked our holiday and realised just how close we were to the British enclave of Gibraltar, we were determined to experience the enormity of the great ‘Rock’ itself alongside the more trivial pleasure of walking amongst the Barbary Apes. To our regret, we only looked at a couple of websites and decided to buy our tickets at the border to see the various sites. First lesson learned: always research your destination. We drove the long distance and finally reached the main approach road, La Linea. We sat in a queue of traffic for around half an hour before concluding we were in the wrong line of traffic that was in fact driving over the border; we wanted to park on the Spanish side and walk over the border itself. So having parked in a nearby underground car park, we visited the tourist kiosk nearby and were easily persuaded to part with €80 to visit 3 of the best sites on the Rock. Passport control done, we boarded our first bus closely followed by another one to reach the cable car station. I met a very pleasant and friendly Gibraltarian on the bus and was interested to hear all about her life on the Rock. I was later told by my family that I had gone into interview mode and was firing questions at her left right and centre (it’s in the blood I’m afraid). But she didn’t seem to mind! Anyway, the cable car trip was fun and at the top, we straight away went to the cafe for lunch. 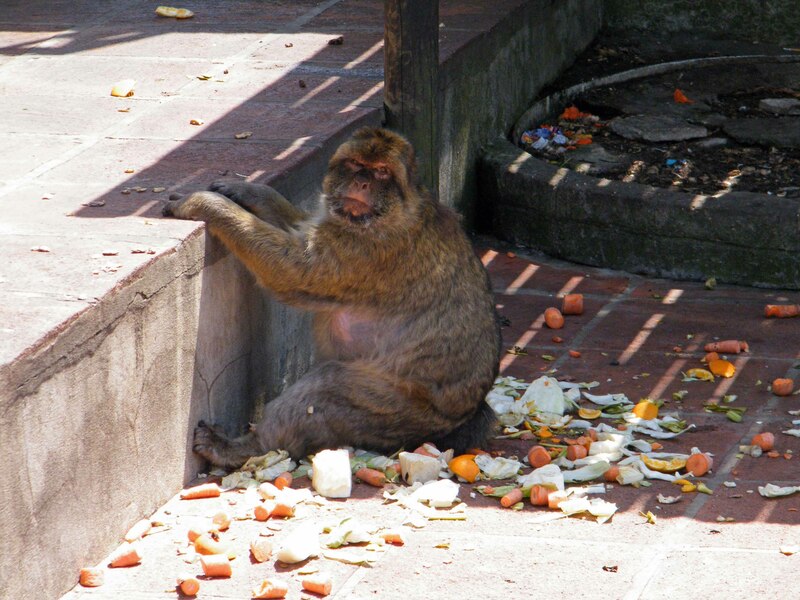 Throughout the area there are plenty of signs warning you not to touch or tease the apes and keep your bags closed and at shoulder level and never carry food in an open bag. But I needn’t tell you, in the few short minutes we sat eating lunch, we saw a woman with an open bag she was virtually dragging along behind her that was snatched by a well organised team of apes; a girl who tried to stroke another ape had her arm scratched and a man who mimicked one of the apes soon saw the error of his ways with a well aimed ape swipe. 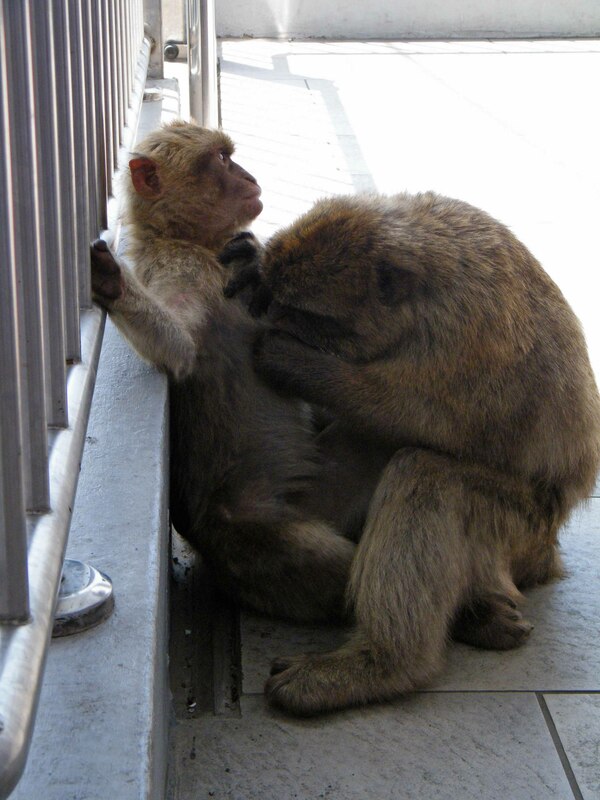 So as we ventured onto the balcony, we ensured we obeyed all the rules and thus remained free of ape interference. However, one thing we couldn’t escape was the intense heat, made all the worse by the fleet of taxis who rev their engines to climb the steep hill. There was also a distinct lack of signage, one scrappy notice a little way down the hill that gave no useful information and the maps were impossible to follow without any discernible marks on the path or walls. As we made our way down to the ape’s feeding area, we were completely dumbfounded to see each of the tour guides, encouraging people to hold the young apes in their arms or perch them on their shoulder with enticements of food. Clearly these guides had not read any of the notices. However, within a few yards of leaving the feeding area, we realised any attempt to reach St Michael’s Cave or the war-time tunnels would result in large puddles of melted human beings. 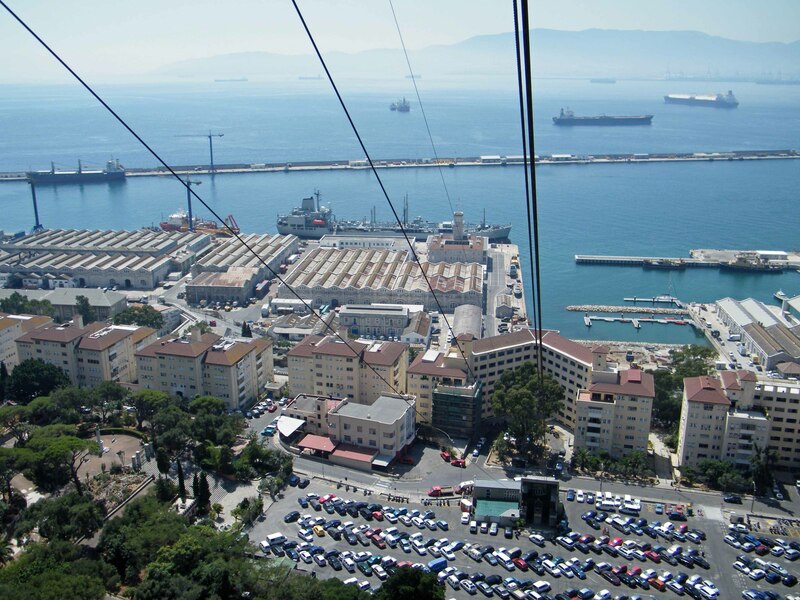 With much reluctance, having been stung for a very large fee to visit the attractions, we decided to return to the cable car and head back down to the main town below. But at least we would have what was sure to be an interesting and unusual town to look at. I think the nearest comparison I can make is the town of Yeovil or Taunton i.e. Gibraltar is not so very different from any other English large town, with all the same old High Street shops. Rightly or wrongly I had high hopes of the country but it was a huge disappointment and I can only say I’m glad I went, because I know not to go again. 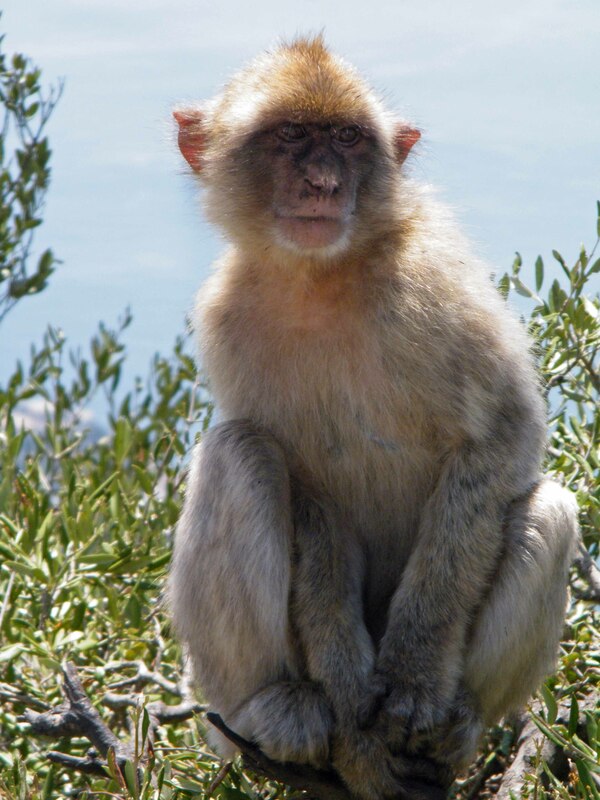 This entry was posted in Holidays & trips away and tagged ape, Barbary apes, border, cable car, La Linea, Rock of Gibraltar, Spain, St Michael's Cave, tourist. Bookmark the permalink.